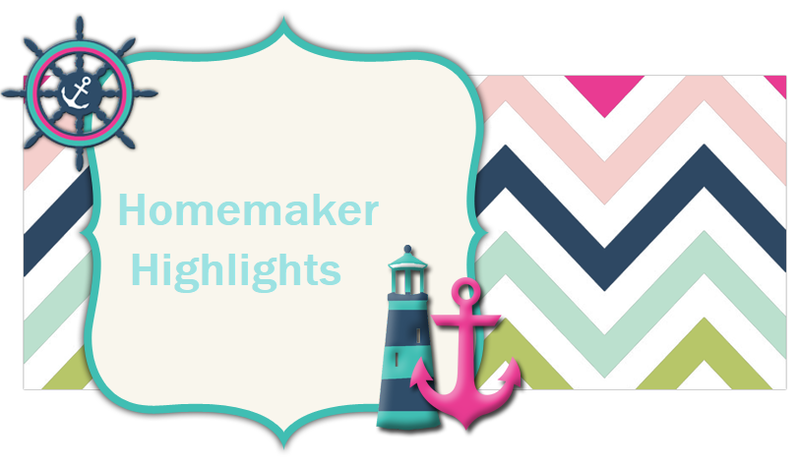 Homemaker Highlights: Beach trip and freebies! Well, tomorrow is our big trip to the beach. Every year we try to take Doots for her birthday just for the day. This year we were hoping to stay the night...unfortunately the hotels were awfully expensive. I tried checking every discount site there is out there. So we decided we would take the day at the beach and use a little extra budget to make it comfortable. Today we went to the dollar tree to buy things like: snacks, juice, water, floats, sand bucket, shovels, goggles, and such. Lilly is now not afraid to dive under water..she has been practicing in the bath tub and her little pool outside:) She requested some goggles that wouldn't let water up her nose. After the dollar tree we went to walmart for some lunch meat for our picnic, little Debbie snack cakes, and a beach umbrella. Barry insisted I have a beach umbrella this year since I am pregnant and it's so hot down here. Our heat index has been reaching 107 and there have been two heat related deaths that I know of. So we got the one that let's out 7.5 ft for 25.00. I know that is quite expensive..but, it's a great investment. We can take it swimming in the future, set it out when Lilly plays outside, or even over her swimming pool. Then I seen they had matching shirts. Lilly and I went crazy wanting matching shirts..lol..the picture up top shows our shirts:) She wanted pink..but, we had to go with red since I could not find anymore in my size. We got these at Walmart for 3.00 each!! What a deal...they also come in about four other colors. Barry decided he wants to wear his father's day shirt tomorrow and he really didn't like the look of the shirts. So here comes my next dilemma. Swimming and being modest. For Doots she is still young and I do pick a modest one piece for her. For me I do prefer to swim fully clothed and I do prefer culottes with a shirt. The last time we were at the beach I wore my jean skirt and a modest tank top. It ended up being way to hot and was very weighted. I do own one pair of culottes..but, I am too big for them right now(btw..those are running quite expensive online..I found these at the thrift store and have not run across another pair to yet.) So my only other frugal option for tomorrow was to take some 1.00 maternity pants I found at the thrift store and cut them off..lol. So that's what I will be wearing. I did manage to pick up a swim suite a few weeks back. I thought it was pretty modest with bottoms and a tank like top with it. I was never planning on wearing it out in public..just outside out of sight to Lilly's swimming pool. Well, I brought it home and tried it on. I got the biggest size possibly available and I still managed to look like one giant grape! I looked like a grape with reasonable sized arms/legs sticking out. So purple is NOT my pregnancy color..lol. So we have the truck packed tonight. Tomorrow we will leave out for Destin early in the morning. We plan to go to the gulfarium, take a walk/picnic in Seaside(that's where the Truman show was filmed with Jim Carrey), find a nice beach to play at for a little while, and for supper Barry promised me something special...a whataburger! I love those burgers and I don't get them often. It's been years since I have had one. This will be Lilly's first:) I remember my parents taking me there when I was little when we lived in Pensacola. I also have some fond memories of spending the afternoons after school with my dear friend Heather...we would go to play in the water and build sandcastles. I am so glad Lilly will get to experience that..maybe not as often as I did..but, we don't live extremely close to the beach:) But, she does have a nice pool with a sand box. So I will post pictures tomorrow night. Oh, I got my juicy juice water bottle through mail today...VERY NICE! I also got a science DVD on your memory. 2 FREE bottles of Venombite artic punch http://www.venombite.com/. Per site "Enter your name and email address below and you’ll be on your way to receiving two Free bottles of Venom Bite™ Arctic Punch." I will have to retry this one...I got they were unable to process my request. I think Barry would really enjoy this one! FREE RJO futures historical wall chart http://www.rjofutures.com/forms/rjo_wall_chart.php. Per site "This offer is good for U.S. residents only, who pre-qualify by providing a verifiable phone number and mailing address." After hitting submit: "An RJO Futures representative will be contacting you soon to confirm your interest in this offer and to verify your mailing address and/or email address—in order for us to fulfill your request." It's worth a shot. I never use my real phone number...I always use a 555 number. FREE Smart ride safe with Bark buckle up's pet safety kit. Per site: "
The Bark Buckle UP Pet Safety Kit was designed to protect your pets if you are in an accident First Responders will locate the pet safety kit in your glove box and call your contacts to come get your pet plus inform them you have been in an accident. FREE booklet Earth blessings: prayers for our planet https://www.unity.org/cms-global/form/ViewForm.do?formTemplateCode=EarthBlessingsRequest. You also download the booklet if you do not want to wait for it to arrive snail mail. It will arrive four to six weeks. Helpful tip: Download google tool bar. I only search through google, the bookmarks are easy to access, and it has auto fill! So this makes my freebie experience super easy guys!! ahhhh I love the pic of you and Doots, that is frame worthy. I wanna come to the beach !! Sorry but I about fell out of my chair when I read the part about the big giant grape with normal sized arms and legs rofl.. Ok that was funny.. I can totally empathize with you , but it is still funny... Ya'll have fun. I am guessing end of July and my oldest said July 30 that is his birthday lol so have Emma then..